The Kids Fashion Week - Azerbaijan Kids Fashion Week 2018, organized by Star Kids Group, will be held at the Pullman Hotel from November 16 to 18, Trend Life reported. Azerbaijan Fashion Week 2018 has ended up being a large source of haute couture. 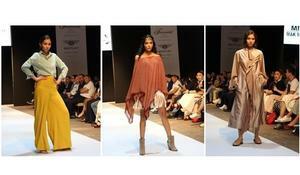 Azerbaijan's honored art worker and famous fashion designer Fakhriya Khalafova has put on display her collection at Azerbaijan Fashion Week 2018. Azerbaijan Fashion Week 2018 showcases the best in local and international fashion. Azerbaijan Fashion Show 2018 is underway in Baku. Azerbaijan Fashion Week comes back this month to showcase the latest collection from local designers and international brands. 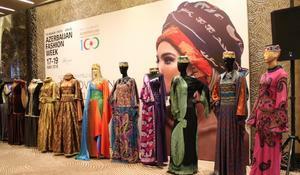 A special fashion exhibition "From antiquity to modernity" solemnly opened in Fairmont Baku Flame Towers on May 17. A special fashion exhibition "From antiquity to modernity" will open in Fairmont Baku Flame Towers May 17, at 18:00. Famous designer and Honored Art Worker Fakhriya Khalafova will present two collections at Azerbaijan Fashion Week 2018.